What's the most number of laps ever completed at Le Mans? Is the no. 8 car on track to beat that? Most number of laps completed in Le Mans is 397, in 2010 and 1971. In terms of distance though 2010 holds the upper hand with 5410 km compared to 1971's 5335 km. 394 and 395 laps was seen as well. #8 completed 341 laps with 2h40mins to go, so a record is possible. Last edited by TheGkbrk on Sun Jun 17, 2018 12:48 pm, edited 2 times in total. Something around the 390 laps marker is posible, the sheer amount of safety cars has hampered the progress, if that SC that was out for the repairs to Tetre Rouge this morning wasn't out, and if it was covered by a slow zone, id say it was on for close to the record if not the record. It was a fuel issue, #7 missed its pit lap. Last edited by TheGkbrk on Fri Jul 06, 2018 8:40 am, edited 1 time in total. 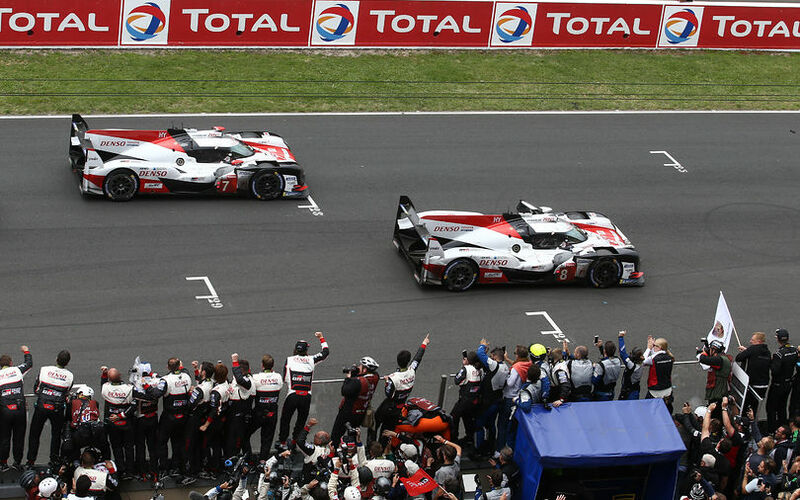 #8 and #7 Toyotas winning Le Mans 24h 2018. #8 finishing 2 laps ahead of #7. The only thing porsche benefits from is a veeeery generous BoP. GT-Class with its remind to real road cars could potentially be spectacular. but BoP reduces it to a pure political risiko. The only form of honest BOP that I can understand is power limitation: but once you have more or less flattened top power of all the engines, if you have a better chassis or a more aero/fuel efficient car then good for you. So no win for Alonso then? Good. I dont want him to win off other people's backs. So Alonso won after all. I am happy for Kazuki "Crapajima" he got so close 2 years ago to finally get it now is retribution. They said Alonso was the fastest, but Kazuki had to nurse the car in the last stint so it's hard to compare. Congrats Alonso! My second favourite driver. haha. I have been an Alonso fan for years. I don't feel any hatred. 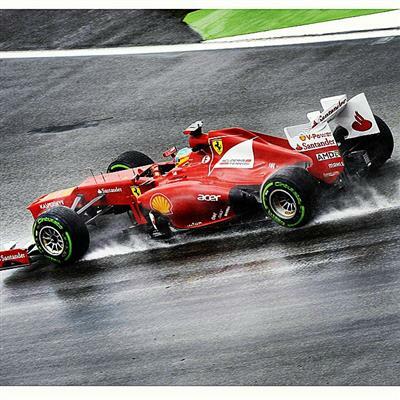 Alonso's "success" is all other variations of motorsport just goes to show what an absolute farse formula 1 really is. Pointless technology in a pointless series.